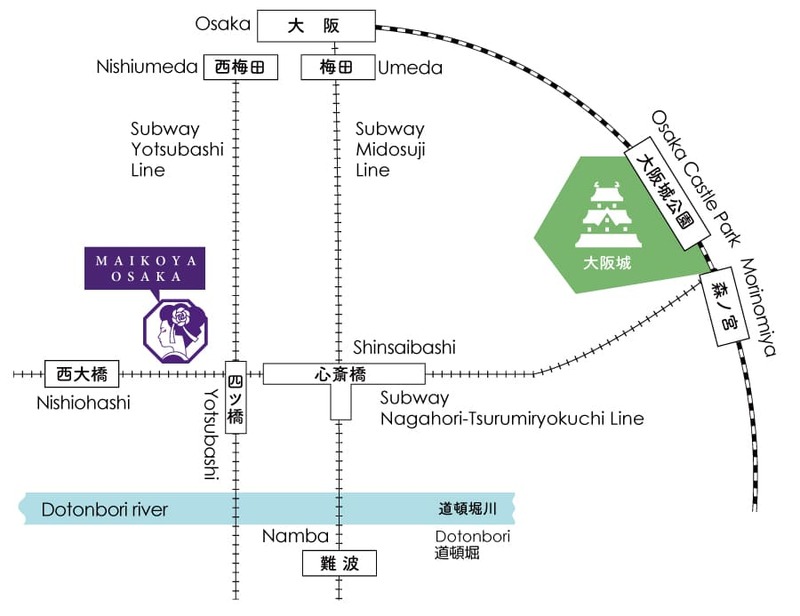 MAIKOYA is a leading cultural experience provider with locations in Osaka, Kyoto and Tokyo. We take pride in offering authentic cultural activities, such as Kimono wearing, Tea ceremony, Sushi making, Calligraphy, Flower arrangement, Taiko drumming, etc. led by the friendliest staff in our conveniently located facilities. All of our activities are offered in English and/or Chinese to help you smoothly experience Japanese customs and rituals. We provide group activities in addition to VIP, incentive , FIT, and individual level services. Each facility we operate has a traditional Japanese style room that can easily accommodate 50 guests. We also liaise with our partner facilities to support way bigger groups. Additionally, we can come to your hotel, conference room, and arrange various cultural shows. Many groups have chosen MAIKOYA for their School trips, Company trips, International conferences and Incentive trips. MAIKOYA KYOTO is located right next to famous historical temple, Honnoji. We are on the street of Kawaramachi Dori, which is 5 minutes from Sanjo station (Keihan -line). You can enjoy the beautiful scenery of Kamo river which is one of the most loved scenic spots in Kyoto. Our Kyoto branch has a great access to many famous historic sites as it is a walking distance to the Historic Gion District and the Nishiki Market. After you had Kimono Tea ceremony experience at MAIKOYA KYOTO, you have an option to take a walk to those spots if you'd like. Please feel free to take beautiful pictures wearing a Kimono. 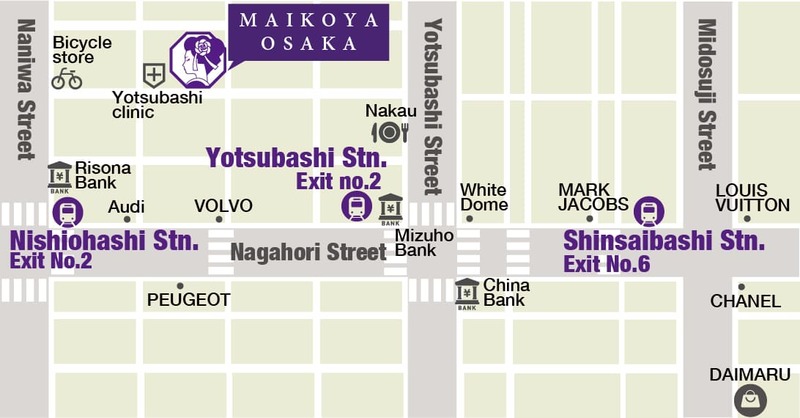 MAIKOYA OSAKA is located in Shinmachi, walking distance from the famous Dotonbori Street. The Shinmachi area used to be one of the most famous geisha districts in Japan where thousands of Maiko/Geisha roamed the streets from the Edo period until the end of the war. MAIKOYA OSAKA has 6 floors decorated with Japanese traditional ornaments which will make you feel good old Japan in the center of Osaka city.